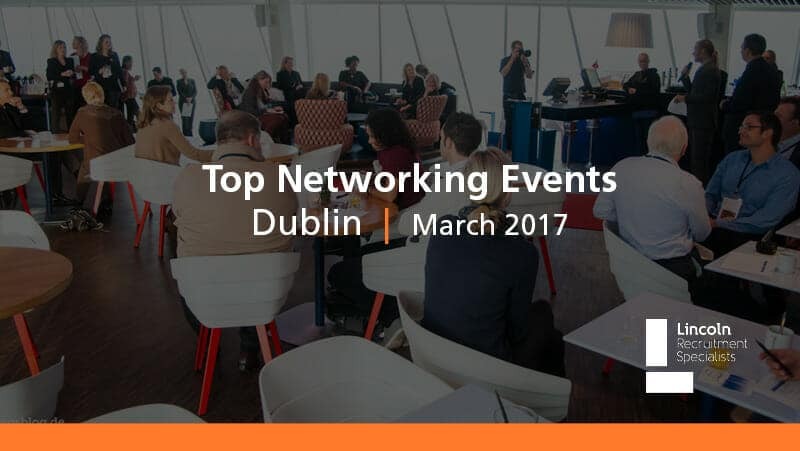 If you are thinking of giving your career a Spring clean, check out our recommended networking events taking place in Dublin this March. This is the chance to get out and mingle with professionals in your industry, build up your network and explore career opportunities. Founded by Sigmar Recruitment, the Talent Summit is the marque event of National Employment Week and has grown to become one of the largest HR & Leadership conferences in Europe, showcasing the latest thinking on talent topics from around the world. Its mission is to share thought leadership on talent to build better workplaces and working lives in an increasingly complex world of work. UpStarter provides candidates with a chance to meet some of Ireland’s most innovative companies who are all hiring. Employers on the night will be looking for developers, designers, marketers and students looking for internships. Our IT team from Lincoln Recruitment will also be in attendance, so make sure you stop by and say hello! DMX Dublin features over 30 world-leading speakers in multiple presentation streams, and over 800 marketing professionals attendees in a full day of sharing, learning and networking. A Marketing Institute event, DMX Dublin celebrates the crossover of marketing, digital, creative and media. Over the past 5 years, it has become Ireland’s must-attend marketing event of the year, bringing together top international and Irish marketing leaders, marketers from multinationals and start-ups, advertisers, creative agencies, digital agencies, online publishers and vendors. The Inspirational Power of Purpose & Happiness is a key driving force of change for modern consumers & marketeers alike. The Marketing Society and Guy Van Liemt, from the prestigious Erasmus University Rotterdam, will explore the power of happiness, its economic and emotional impact and how it can be utilised and measured by marketeers. Guy will also examine the massive influence the concept of Purpose is having on marketing and business strategy alike. Blueprint for Outstanding Leadership – Revealed in 100 Minutes! Come along for an engaging and fun conversation about what can be done to improve the performance of your business through outstanding leadership whilst enjoying some refreshments in the amazing new Bank of Ireland Hub in Grand Canal Dock.